Over the past few years, there has been much discussion about the need for additional resources to support Kentucky’s crumbling transportation infrastructure. The funding hole that currently exists becomes even deeper at the end of fiscal year 2020 when the Transportation Cabinet estimates that all of Kentucky’s available federal toll credits – a resource the state has used to match and bring in federal transportation grant money – will be gone. A bill filed in the 2018 General Assembly provides a way forward. State funding for roads, bridges and other transportation infrastructure comes primarily from the Road Fund, which has suffered from declining or flat revenues for several years. That trend is expected to continue in the future if changes are not made to enhance the funding streams that support the Road Fund. A big factor in the inadequacy of Road Fund receipts over the last several years was a drop of 6.5 cents per gallon in the motor fuels tax rate in 2015, which was caused by a decline in the price of gas. Each penny reduction equals approximately $32 million in lost Road Fund revenues. To safeguard current revenues and prevent further precipitous drops, the 2015 General Assembly increased the “floor” (a minimum rate that will be imposed regardless of the wholesale price) and established a new smoothing process for future rate changes. The increased floor did not restore the rate to where it was before it started to drop, and although stabilized, revenues are not expected to grow robustly in the future as cars become more fuel-efficient and fuel prices remain relatively low. In addition to the motor fuels tax decline, revenues from the motor vehicle usage tax, the second largest road fund revenue source, took a hit in 2014 when the General Assembly enacted legislation that allowed the price paid for a new vehicle to be reduced by the value of a trade-in when calculating the motor vehicle usage tax. Because revenues have been declining or flat for many years, the backlog of projects that need to be undertaken is growing and costs are increasing each year. In the 2018-2020 Road Plan, the Kentucky Transportation Cabinet notes that an additional $490 million in state road fund revenues are needed annually to begin to address the list of priority projects identified through the cabinet’s newly implemented SHIFT evaluation and planning process. What Are Toll Credits and Why do They Matter? Toll credits can be earned and accumulated by states that construct and maintain Federal Highway Administration (FHWA) approved transportation facilities supported by tolls in which the tolls generate revenues beyond those needed for the project. A state may use toll credits if the state invests the excess toll proceeds in additional transportation infrastructure projects, and if the state adequately maintains a sufficient level of total transportation infrastructure spending. The federal highway program and federal transit program generally require a state or local match for projects that receive federal funding – in most cases, funding is 80 percent federal, 20 percent state or local. The federal toll credit program allows states that have earned toll credits to use those credits to satisfy the match requirement, which has the effect of the project being 100 percent federally funded, allowing state funds that would otherwise need to be used for the match to be used for other state transportation projects. Kentucky was awarded toll credits for the tolled parkway system constructed in the 70’s and 80’s and received additional credits more recently for tolling on the Louisville bridges. Over the past 10 years, Kentucky has used an average of $126 million in federal toll credits annually to satisfy the state match for most of the federally qualified projects undertaken in Kentucky. Once these toll credits are gone, funds from the already overextended Road Fund will be required for the federal match if Kentucky is to retain the same level of federally funded projects going forward. 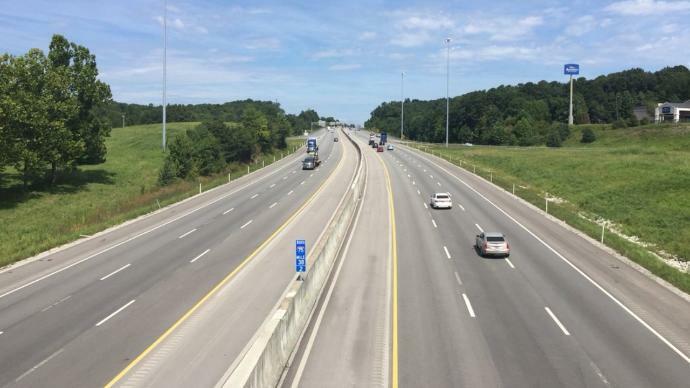 To maintain Kentucky’s transportation infrastructure plan at current levels, additional Road Fund revenues will be needed at the close of the 2020 fiscal year. Assuming that Kentucky’s toll credits have been used to access federal funds under the typical 80/20 match, the average $126 million in toll credits used by Kentucky annually allowed the state to receive and spend over $500 million in federal funds. One feasible solution to raise additional revenues for the Road Fund in a sustainable way that should be considered by the 2019 General Assembly is HB 609, introduced during the 2018 session. HB 609 incorporated the recommendations of a work group that studied transportation infrastructure needs and funding options during the 2017-18 interim. HB 609 was predicted to raise $434 million annually at full implementation, which would go a go a long ways in addressing a deep budget hole that will soon be even deeper.